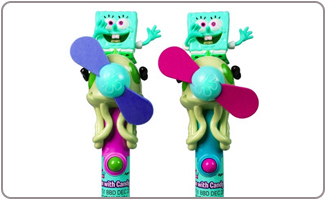 Spongebob Squarepants is a favorite of young boys and girls alike. There are plenty of great SpongeBob birthday party ideas that you can use to make a special day for the birthday boy or girl. 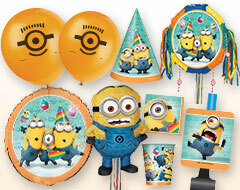 Create a party that lives up to SpongeBob’s undersea home and friends with the right SpongeBob Birthday party supplies. Your Spongebob birthday party can take place in any location either indoors or out. 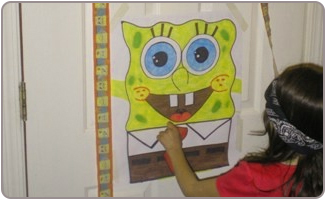 Creating an under the sea theme is easy in any room of your house with the right Spongebob party decorations. You could choose to create any of the places Spongebob likes to hang out as a special theme, such as his pineapple home or the Krusty Krab where he works. 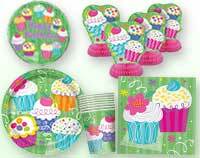 An outdoor party is something to consider as you can have water-based games and activities without making too much of a mess. Water is a great theme for a Spongebob party, so plan for a pool party or run the sprinkler and have everyone bring their swimsuits. You could also have your party at a local pool. 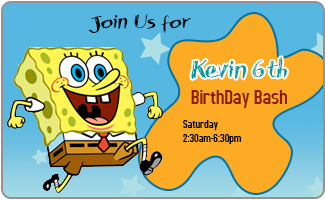 Pre-printed Spongebob Squarepants birthday party invitations are the quick and easy way to invite friends to a Spongebob birthday party. Spongebob is easy to make! Cut out rectangles from yellow construction paper. Then cut out brown pants and glue them on. 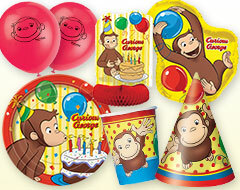 Add eyes and a nose, then write your party information on the back! Use your computer to print off images from Spongebob's show. 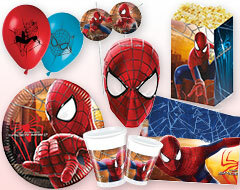 You can simply print an image or use a photo editing program to make a collage. Invite guests using wording from the show like "Come on down to our pineapple under the sea" or "Meet us at the Krusty Krab". 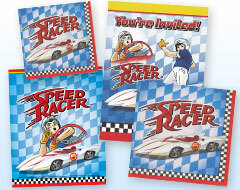 Don't forget to add directions to the party location as part of your invitation's wording! Play nautical Pineapple ring toss! Set up a pineapple and paint white plastic rings to look like life preservers. Play pin the pants on Spongebob instead of the old classic pin the tail on the donkey. Pick up a toy food set with the pieces of a burger – wooden ones are available – and have races to see who can build a Krusty Krab burger the fastest. 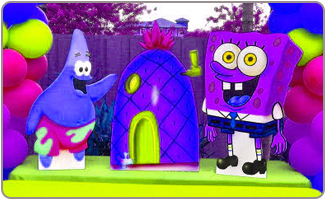 Water games are a great choice for a Spongebob party! Have a water balloon toss or simply set up a pool in the backyard for the kids to splash around in. Have a Spongebob sing-along with the catchy Spongebob theme song. 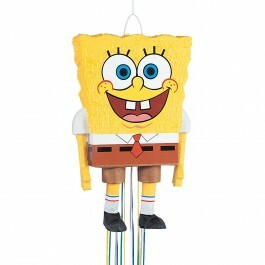 Hang a Spongebob pull string pinata and let the kids have a gala time breaking open this fun pinata. 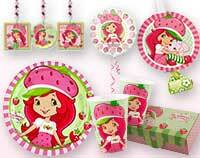 Create a wonderful return gifts bag of goodies from our wonderful selection of Spongebob birthday party supplies. Spongebob Squarepants books make a great return gifts for kids. Fill a bag with Spongebob candies including candy Krabby Patties. Serve up cheeseburgers and call them Krabby Patties, Spongebob's favorite food from the place where he works. Cut pineapples in half, remove the flesh and then fill each half with fruit salad. Seafood is one of the best Spongebob party ideas for the food! Serve shrimp salad or fish sticks if the kids are a bit more picky. 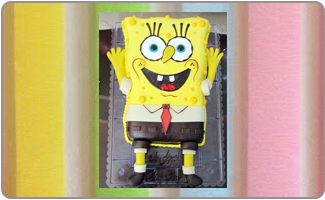 A sheet cake frosted in yellow and decorated with Spongebob's face is an easy Spongebob Squarepants birthday party cake. 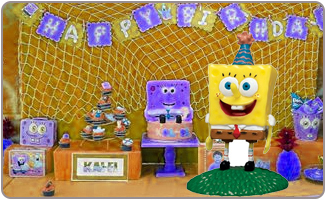 Easy to use SpongeBob cake toppers make it simple to create the perfect birthday cake for your party if decorating isn't one of your skills. 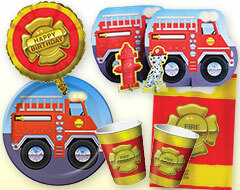 Our great selection of SpongeBob party decorations makes it easy to create a Spongebob scene in any locations. Pick up some aquarium décor from your local pet supply store to make your house look like the bottom of the ocean. Hang green crepe streamers from the ceiling to look like seaweed. 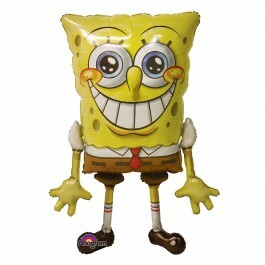 Decorate with yellow balloons to match Spongebob's bright yellow body and a Spongebob Airwalker at the party entrance will surely wow all spogebob fans. Buy yellow sponges and glue google eyes on them to make little Spongebobs. Set pineapples around the room and paint little doors on them just like Spongebob's home.